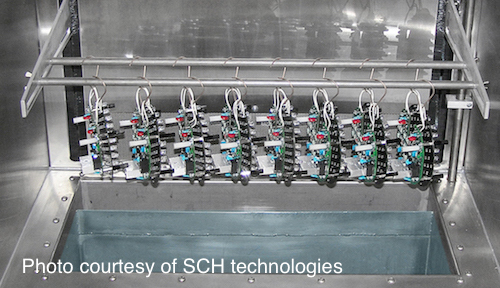 Dipping using conformal coating brings along its own specific rules and guidelines that can help save a lot of time, money and trouble on the production line. 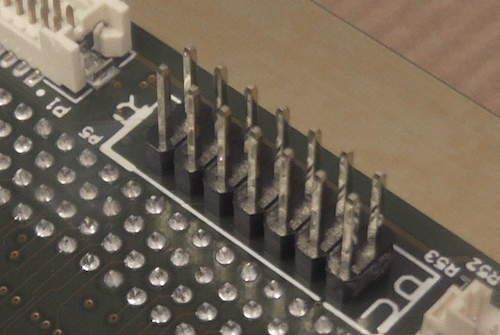 If you can place connectors at one end of a circuit board then the dip process is truly the fasted method of application. This technique is used a lot in automotive electronics. 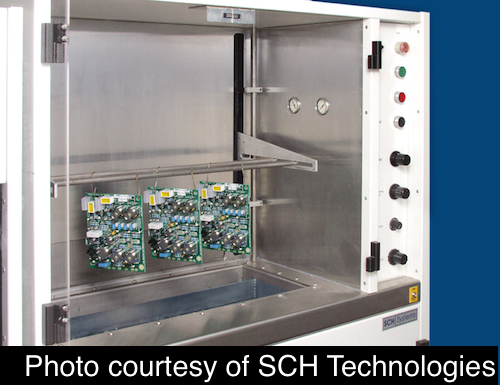 Ensure there is somewhere to hold or hook the PCBs during the dip process that allows the board to be suspended. If possible try and ensure the parts holding the board, whether it is a hook or fixture, do not get coated during the dip process to avoid cleaning the fixture. 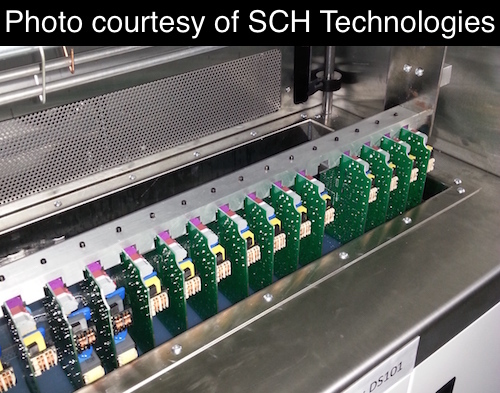 The fixture is designed so that it never enters the conformal coating during dipping and cleaning is not required. Try and avoid UV cure and moisture cure materials in standard dip coating systems. If these materials are to be used, ensure that the dip coating system has suitable options and designs to handle the materials in the correct manner. Also, ensure the staff are trained in the key issues relating to handling these coatings. Design the circuit to allow it to be drained to a corner rather than an edge. 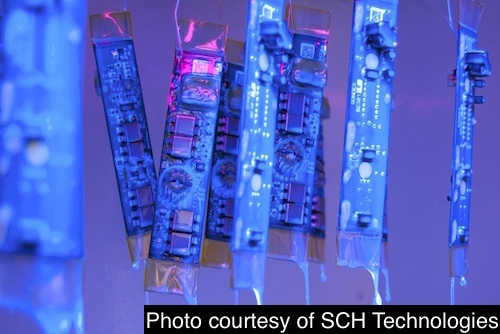 This can ensure less edge build up of conformal coating on the circuit board. Some components when dipped can capture coating in their shape. If this happens then the coating will puddle and not drain away. This can lead to problems of coating running off at a later stage or very thick coating leading to a problem with the coating integrity in the long term. Use the male header pin type connectors that can be masked easily with boots rather than the female sockets which cannot be easily. Avoid using difficult to mask components or fit them after dip coating. The challenge of masking them may be so high that the cost of processing is too much. 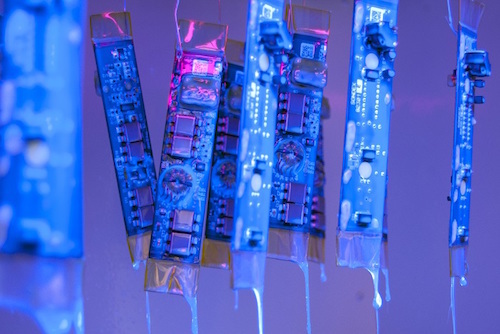 Do you know a Design Rule for dip conformal coating that could help others? Tell us now and we can add it to the list.